If you own a campground, you’re probably an old pro on day-to-day operations. But times are changing, and as customers ask for more from their outdoor experience than ever before, are you keeping up? Campgrounds brought in $5.8 billion in revenue in 2015 alone, and there is no end in sight for profits on the horizon — as long as you know how to grow with changing industry standards, that is. Here are three easy ways to remain relevant in the coming year and maximize profits along the way. More than one million households started camping last year — 44 million of whom were millennials. With this fast growing client demographic in mind, you must consider their values and adapt. They’re influencing and changing industry trends, and you can either choose to keep up or suffer a blow to your customer base. First, consider on-site amenities that might affect a young person’s decision to visit your campground. Like it or not, gone are the days when going camping meant unplugging from technology. One study found that 88 percent of campers bring along their mobile phones, and Wi-Fi ranks as the top desired amenity among campers (of course, free Wi-Fi is also a primary concern for many visitors). The bad news: many campground owners are overlooking the preferences of this important demographic. The good news: you have an opportunity to stand out by bringing your campsite into the 21st century with technology upgrades such as a stable Wi-Fi connection. Your commitment to tech-savvy begins long before campers set foot in your campground, however. Online booking options and a mobile website, for example, will surely set you apart from your competition which may be stuck in the past. Your digital presence doesn’t end with your own website, however. Just like any other business today, online branding has to include a social media presence. Bolstering your entire online presence is the best way to ensure your campground gets proper exposure among a new demographic of campers. 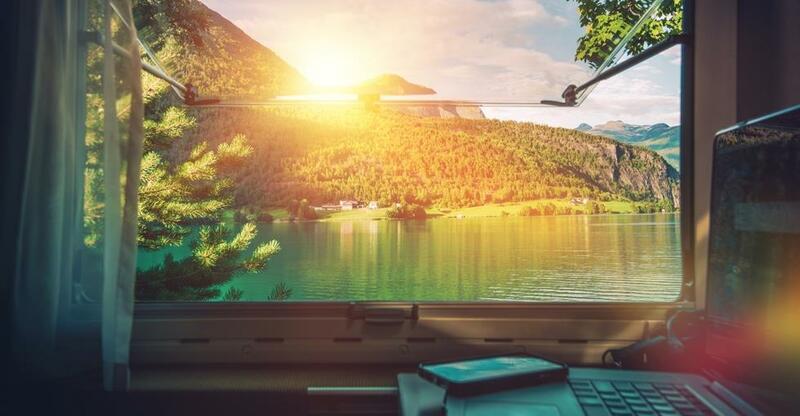 Customers are more tech-savvy than ever, and they expect to be able to interact with your brand when they are searching for campgrounds online. When you consider that 90% of customers booked their campgrounds online — a large portion of which was done on a mobile device — your online identity is something you can’t afford to ignore. Of course, your website is often your first point of contact with customers and establishes your public image for all to see. Make sure to put your best foot forward and consider a professional website design — or redesign, complete with all the functionality digital consumers expect. Remember that these days, features like online reservation systems are standard, and no longer a luxury. When you own a campground, you have a lot more money-making opportunities at your disposal than you might think. Sure, renting out campground space will remain your strongest financial asset, but consider integrating auxiliary products and services to boost your bottom line. Whether it’s bolstering your general store, or offering special event space or campsite add ons, there are several ways to upsell your services and increase your profit margin. Customers are likely already seeking out these products and services, but are forced to visit nearby competition if your don’t offer them. Cater to camper needs in-house and become a one-stop-shop location for outdoor recreation. The initial cost of this will be easily offset by customer demand throughout the year — not to mention, improving your offerings will hook new customers as well. If you give prospective customers a mix of reasons to visit your campsite — in the form of varied products and services — you’ll give them the incentive they need to choose your site over the competition. If you’d like more information and tips on how to operate a successful campground, check out all of our helpful resources on buying, selling and running a campground.